Maybe it won’t be the “folk art of the future” as Brett Gaylor foresaw it, but remix is a socially accepted cultural paradigm and a popular practice. 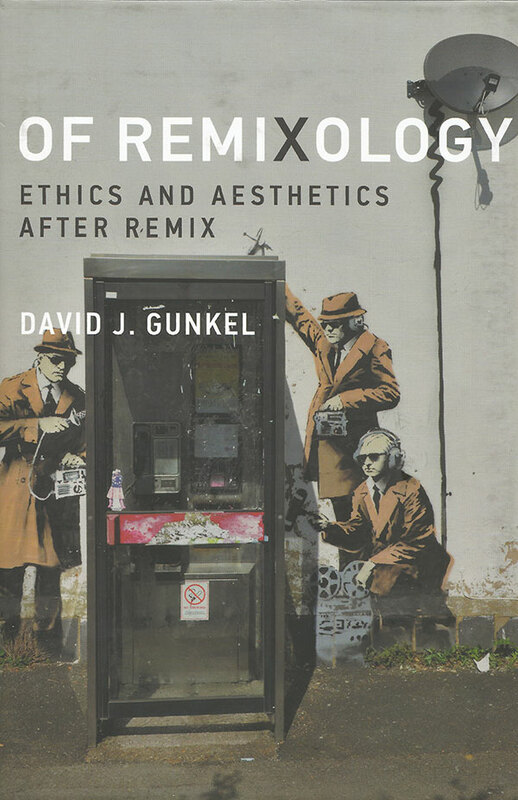 Gunkel wants to break the dialectical debate around remix as creativity versus theft, involving the reader instead in the historical trajectory of the phenomenon. In the first section (“Premix”) he begins to re-establish the technical grammar of remix, from collage to mashup, and the most essential element, the “recording”, including a thorough analysis of Plato’s Phaedrus as it constitutes the first written account of a recording technology. The second part “Remix” extends the concept to practices such as plagiarism and inauthenticity. It also delves further into topics such as “simulation”, related to the relationship between original and copy and “repetition,” both inspired by Deleuze’s philosophical definitions. The last part “Postmix” reconsiders the concept of remix, noting how it is now appropriated by the software industry. It concludes by proposing a different axiology that, by theoretically redefining the crucial terms of remix, opens new spaces for development. If negating author and original has been a liberating gesture, redefining these strategic elements could also lead to more effective strategies. As an example Gunkel would like to legally introduce the concept of “finitude”, where an acknowledged original retains this status for a finite amount of time. This qualification, and others like it, could potentially lead to the creation of new and equally challenging cultural forms of remix.